Scientists with the Ecotoxicology Program at NOAA's Northwest Fisheries Science Center in Seattle have been working to understand those effects. "Along with our research partners," said Nat Scholz, the scientist who leads the program, "we're investigating the more subtle, lingering, and potentially widespread impacts of oil on the health and survival of fish." 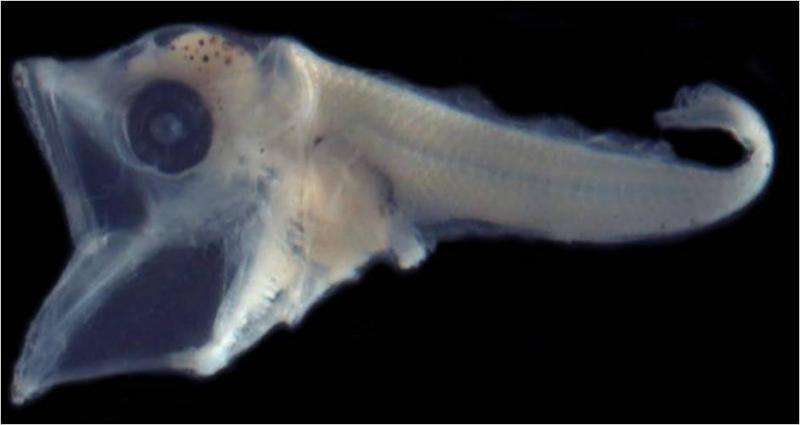 Scientists have known since before the Deepwater Horizon disaster that relatively low concentrations of oil can cause developmental abnormalities in fish. But in the five years since, Scholz and other scientists have shown that oil damages the still-forming hearts of fish embryos and larvae, and they have discovered the causes for that injury at a molecular scale. Now that they understand the effects more precisely, scientists are developing new diagnostic tools to measure the impacts. NOAA is using this science to conduct its Natural Resource Damage Assessment in the Gulf of Mexico, including estimating losses of bluefin tuna, yellowfin tuna, and other species that spawned in the northern Gulf during the Deepwater Horizon spill. These new tools may also help authorities prepare for the next big spill. 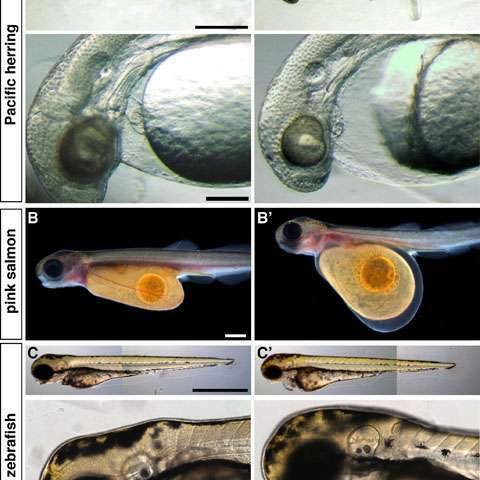 After the Exxon Valdez oil spill in 1989, researchers at NOAA's Auke Bay Laboratory in Alaska showed that larval fish exposed to oil as embryos suffer a spectrum of developmental defects including heart, jaw, eye, and other deformities. What's more, they showed that larvae exposed to trace concentrations of oil develop into fish that look normal but are less likely to survive when released into the ocean. In the years between the Exxon Valdez and the Deepwater Horizon spills, Scholz's team discovered that compounds found in oil called polycyclic aromatic hydrocarbons—PAHs for short—target the developing heart of fish embryos and larvae. Most of the other abnormalities, which together have come to be known as crude oil toxicity syndrome, were shown to be a secondary consequence of a poorly functioning and misshapen heart. Scientists did not know, however, exactly how PAHs damage the hearts of fish. But in the five years since Deepwater Horizon, scientists from NOAA, in collaboration with the Barbara Block lab at Stanford University, made a breakthrough: they isolated individual heart cells from tunas and demonstrated that crude oil disrupts the normal rhythmic cycle of excitation and contraction in those cells. This explains why oil-exposed fish have an abnormal heartbeat, altered circulation, and structural defects in the heart and other organs. When a person goes to an emergency room with chest pains, doctors test for elevated levels of blood proteins that diagnose a heart attack. Scientists are working to develop similar tests that can be run on water samples from spawning habitats that contain fish larvae. "Now that we have a more precise understanding of how PAHs affect heart cells, we hope to identify new biomarkers for cardiac-related injury in fish exposed to PAHs." Scholz said. That would allow scientists to measure the baseline levels of those biomarkers in spawning areas. 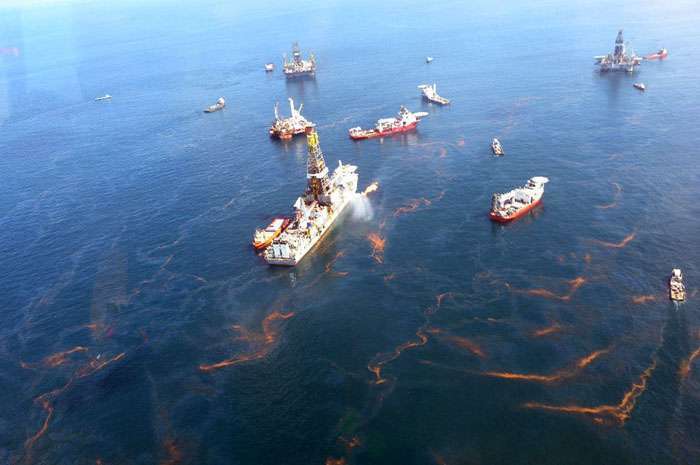 If an oil spill occurs at a later date, they could test the biomarkers again to assess the impact on fish populations. These techniques would be particularly useful in the Arctic, where retreating ice cover is opening new areas to energy development and maritime shipping. The Arctic ecosystem is still relatively pristine, so the best time to collect baseline data on vulnerable species and habitats is now. In addition, basic biological information on the early development of polar fish species is limited, including whether their extreme cold-water physiology makes them more or less vulnerable to oil spills. With each disaster—Exxon Valdez, Deepwater Horizon, and many lesser-known spills as well—our understanding of how oil affects fish populations and ecosystems has grown. Unfortunately, another major oil spill is sure to happen eventually. If we apply the knowledge and techniques developed in the aftermath of past spills to planning for future ones, we will be better prepared for the inevitable. That was not a "spill", it was a high-pressure blowout! Stop trying to minimize it. Good thing it disappears quickly eh? otto gave me a one, so apparently, he thinks it was only a "spill".